Most of the time ALS is not inherited. In about 90% of cases, the person is the only member of the family with the disease. These cases are called “sporadic ALS”. The cause of sporadic ALS is not well understood, but may be due to a combination of environmental and genetic risk factors. About 10% of cases are considered “familial ALS” (FALS). In these cases, more than one person in the family has ALS and sometimes family members have frontotemporal dementia as well. People with FALS often start showing symptoms at earlier ages than in sporadic ALS. FALS is most often autosomal dominant. This means a parent who has a genetic change (or mutation) that causes ALS has a 50% chance of passing that mutation to each of his or her children. Both men and women are equally likely to inherit the genetic mutation. Typically, although not always, there will be someone in each generation with ALS and/or dementia. FALS can present at different ages and progress differently in various family members. Someone with autosomal dominant FALS has one copy of the gene with a mutation and one copy of the gene without a mutation. A child born to someone with FALS has a 50% chance of inheriting the FALS gene mutation and a 50% chance of inheriting the gene without the mutation. This 1 in 2, or 50% chance, comes from the fact that a parent randomly passes on only one member of their gene pair. Even though parents often feel responsible for their children's health, they have no control over which gene they pass on, just as their parent had no control which gene they passed onto their child. If a child does not inherit the gene mutation for FALS, they cannot pass it onto their children. Inheriting a gene for FALS does not guarantee a person will develop symptoms of ALS. If there is more than one person with ALS and/or frontotemporal dementia in your family or someone was diagnosed at a younger age (such as age 45), you may want to meet with a genetic counselor. Meeting with a genetic counselor involves taking a detailed medical and family history, evaluating risks, and discussing the impact of genetic testing. A genetic counselor can help you work through the pros and cons of genetic testing based on your concerns and values. Genetic counseling does not always lead to genetic testing. For more information about genetic counseling or how to find a counselor in your area, please visit www.nsgc.org. Genetic testing can help determine the cause of FALS in a family. Testing is most useful in a person who has been diagnosed with ALS. About 60-70% of individuals with FALS will have a positive genetic test result (mutation identified). Those families with FALS where a mutation is not identified may have FALS caused by a gene or genes that have not yet been discovered. Not having an identified genetic mutation does not eliminate a FALS diagnosis and other family members may still be at risk for developing ALS. If a mutation has been identified, biological family members who don’t have symptoms can be tested to see if they inherited the genetic mutation; this is called predictive testing. Some medical centers may require a neurological exam, psychological assessment and counseling before predictive testing. If a person in the family with ALS has a negative genetic test result (no identified genetic mutation), testing family members without a diagnosis of ALS will not provide more information. If no one in the family with ALS is available for genetic testing, a negative test result in an unaffected person cannot be interpreted. Genetic testing usually involves taking blood or spitting in a special type of tube. Because this testing needs to be ordered by a healthcare professional, the sample is usually taken in the doctor’s office or in a lab associated with the doctor’s office. Results can take anywhere from a few weeks to a few months depending on the type of testing ordered. Results should be communicated by the genetic counselor or doctor who ordered the test. This is often done in person at a follow-up appointment or sometimes by telephone. Because FALS is usually an adult-onset condition, genetic testing of children under age 18 is not recommended. Genetic testing protocols may differ among clinics. Some clinics may offer testing for different genes, and focus on testing specific patients or people in a family. Other testing may be offered on a research basis only. Test results are not always straightforward. There are some genetic changes that scientists do not understand yet so results can be difficult to interpret. Genetic testing is a personal choice. Some people with ALS want genetic testing to better understand why they got the disease and help other family members. 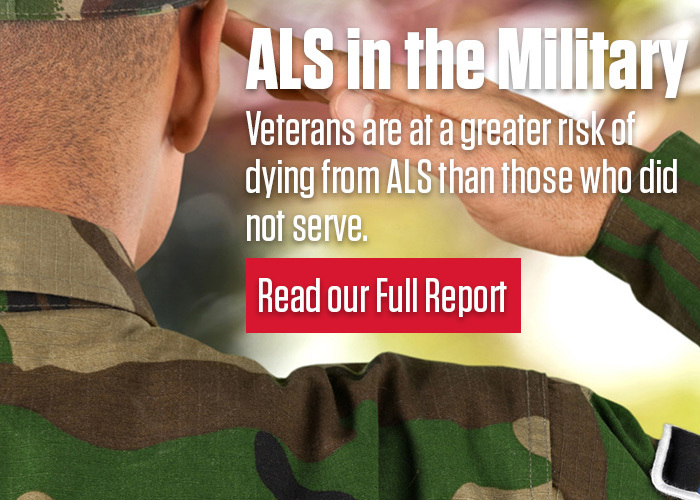 Some unaffected people want to know if they are at risk for ALS, while others would prefer not to know. Consultation with a genetic counselor can help you decide if testing is the right decision for you. Some reasons people at-risk for FALS decide to have testing include: getting more information to help make life decisions, allowing time to adjust to the fact they will likely get ALS, reducing anxiety, to help guide reproductive decisions and to provide information for the next generation. Some reasons people at-risk for FALS decline genetic testing include: the desire to avoid worry about getting ALS, knowing there is currently no cure, and avoiding guilt about passing it on to children or testing negative when others in the family test positive. Explain if there is a genetic cause of ALS in the family. Allow other family members to have testing to see if they carry the genetic mutation. Allow couples planning on having children to pursue prenatal testing. Diagnose ALS in people without symptoms. Tell a person without symptoms when they may start showing symptoms or what their progression will be. Technology is changing rapidly and costs of testing are decreasing. More genes are being identified, so it may be useful to contact your genetic counselor periodically for updates. DNA banking is a valuable option for people with ALS who do not currently have an identifiable genetic mutation. DNA banking means storing a person’s blood so that it is available for future testing. For more information, you can consult a genetic counselor. Genetic testing for all of the currently known FALS genes can cost from about $1600 to $5000. Genetic testing for one gene usually costs $500 - $1500. When the genetic mutation in a family is already known, the cost to test for the familial mutation is usually around $400. Genetic testing is not always covered by insurance. Check with your insurance company about any out of pocket expense prior to testing. Could it lead to problems with employment discrimination or insurance discrimination? The Genetic Information Nondiscrimination Act of 2008 (also called GINA) is a federal law that protects people from genetic discrimination in health insurance and employment. Genetic information includes both a family history of ALS and a positive genetic test result. Please visit http://www.ginahelp.org for more information. GINA does NOT cover health insurance eligibility, premiums, or coverage for people who have already been diagnosed with ALS. GINA does NOT cover life insurance, long-term care, or disability. If you plan to have predictive testing, you should consider having these plans in place prior to testing. For more information or to find a genetic counselor near you, please visit the web-site for the National Society of Genetic Counselors www.nsgc.org. For general information about genetics, please visit Genetic Alliance http://www.geneticalliance.org/ and Learn Genetics http://learn.genetics.utah.edu/. The ALS Association thanks and acknowledges Deborah Hartzfeld, MS, CGC, Certified Genetic Counselor, for sharing her time and expertise on this factsheet.